Nothing will leave you licking your fingers quite like these Honey Sesame Drumsticks - Colonel Sanders has NOTHING on this recipe. Preheat oven to 200°C. Using a fork, prick drumsticks; place in a freezer bag. Secure bag and turn several times during marinating. Marinate overnight. 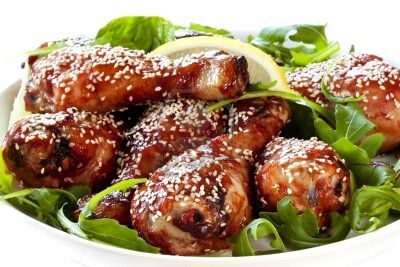 Place drumsticks in a baking dish, reserving marinade. Cook chicken for 1 hour or until cooked. Pour marinade into a saucepan and cook over low heat until slightly thickened. Serve as a dipping sauce with cooked drumsticks.